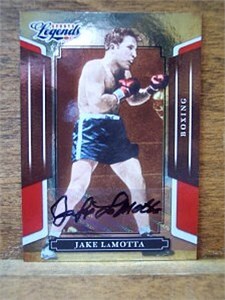 2008 Donruss Americana Sports Legends certified autograph card of legendary boxer Jake LaMotta. ONLY ONE AVAILABLE FOR SALE. With certificate of authenticity from AutographsForSale.com.